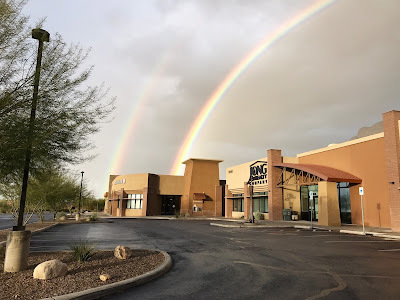 Tucson Daily Photo ~: We are raining rainbows! Here is another beautiful double rainbow photo! This one was taken at the Long Realty offices. These arcs look positively joyful, don't they?